Corner of Coal and Lingle Streets Osceola Mills, Pa.
Osceola Lodge # 515 F.& A. M.
Masonic Hall, Lingle and Coal Streets, Osceola Mills, Pa. Please get in touch with the Lodge Secretary to offer comments,or to ask questions. 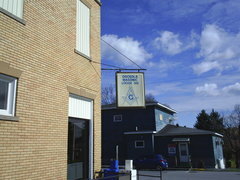 Freemasonry has its lodges throughout the free world. 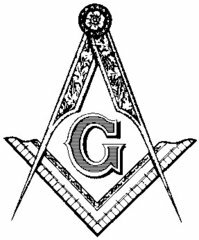 You'll find Masons meeting in almost every town and village and - except where repressive governments make their existence difficult - they're readily found. important requirements to become a Freemason! 7. No Atheist can be a Freemason. 8. Freemasonry is kindness in the home, honesty in business, courtesy in society, fairness in work, pity and concern for the unfortunate, resistance toward evil, help for the weak, forgiveness for the penitent, love for one another, and above all reverence and love for God.